Panama’s major international airport Tocumen is undergoing a huge expansion and the direct flights keep coming. Denver is the 13th US city to receive direct flights to Panama City, Panama from Copa and the seventh addition since 2012. In addition, Panama is even providing financial incentives to European airlines now to bring flights in. Think Lufthansa. Tip: If you are under the Pensionado retirement visa program (with an E-cedula identification card), check with a local Copa office or travel agent for 25% discounts on International and Domestic flights (those flights operated solely by Copa). It is a benefit of the retiree program for expats and Panamanians alike. United actually used to serve the Panama City – Denver route, but they discontinued that service. Expect Copa to be successful. Many destinations throughout Central & South America. The Panamanian carrier will begin flying the route on Dec. 11, offering four weekly flights on 154-seat Boeing 737-800 aircraft. Flight time between Denver and Panama’s capital city is about 5-½ hours. Denver will become Copa’s 13th U.S. destination and continues the airline’s four-year run of expansion of here. Boston, Fort Lauderdale, Las Vegas, New Orleans, Tampa and San Francisco are among the seven cities Copa has added to its U.S. network since 2012. 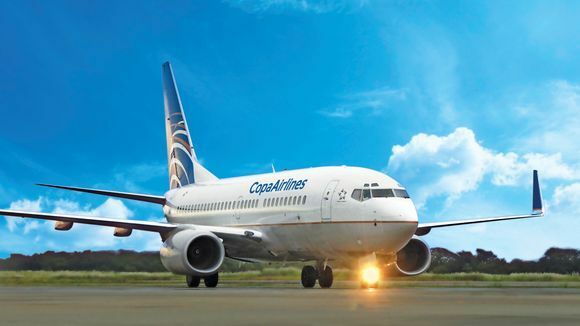 Copa says flights will be timed to give Denver travelers convenient connections from Panama City to the airline’s destinations in Central and South America.